If you're asked to send payment as a PayPal gift, don't. If something goes wrong with the transaction, PayPal will not help if you paid as a gift. Under normal circumstances, you will have 45 days from the day of payment to begin a claim for a refund via PayPal. Avoid third party situations. Adopt or purchase directly from the seller. It can be difficult to get help if you haven't dealt directly with the person you are purchasing from and the transaction falls through. How many breeding pairs do you have? What diet do you feed? Do you have lineages on your gliders (if applicable) and if so, are they viewable? How often are your joeys and adult gliders handled daily? 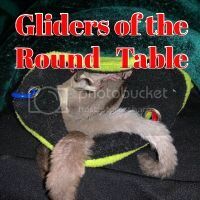 What do you suggest as a good routine for one of your gliders/joeys? Can/will my glider come with a health certificate? What is the out of pouch (OOP) date? Is lineage available (if applicable)? Has this line of gliders had any medical issues or other concerns worth mentioning (rejection/cannibalism/sterility)? How many other joeys have the parents had and what were they like? What is this glider's personality like? Keep discussions through pm or email and avoid only using the phone. This ensures that if you must report a person, you have hard copy evidence of the transaction. Ask for references. Any understanding, knowledgeable, and reputable vendor will have no problem supplying references if they are requested. Check for reviews on Sugar Glider Help. Do not commit to an adoption of a sugar glider without seeing at least one photo first. Make sure that the breeder states clearly that the picture you are receiving is the glider you are adopting. Try to have at least one phone conversation with anyone you are adopting a sugar glider from, but do not agree to important details of the deal in this conversation unless those details are confirmed in writing. If this is not possible, try to make sure that the breeder/owner is available during the pick-up or delivery. You can learn a lot about somebody in one conversation. It's best to speak with your breeder via a phone call or face-to-face prior to placing a deposit on a glider. If you are purchasing items from a vendor, you should also try to get a picture of the product(s) you are buying before they are sent to you. If you are selling a sugar glider or any sugar glider related items online, try to accept payment via PayPal or money order. If you accept a check as payment, wait for it to clear before delivering the sugar glider or items. Never ship unpaid items. Get any and all payment plans in writing. The buyer and seller should each have their own copy of the agreement. Respect the fact that most deposits are non-refundable. The deposit holds your glider until s/he is fully weaned and ready to go to a new home. Many breeders will state in their ads or on their websites that deposits are non-refundable. If you place a deposit and then decide to back out of the sale for ANY REASON (including personal emergencies) then do not expect to get your deposit back. However, it is customary that in most (not all) situations where a breeder backs out, that the deposit is refunded. This is not guaranteed and is usually handled on a case-by-case basis. It is ultimately the decision of the breeder where his or her joeys will go. Thoroughly read any contract prior to signing (if applicable). If something isn't clear, ask questions. If you are having items shipped to you, get a tracking number. You can follow your package online during its journey to your home. Above all else, trust your gut. If something feels off, don't just keep quiet. This goes for buyers and sellers alike. Tell the person you are making arrangements with if you are having any concerns or if any questions arise.